Who wouldn’t want to come home to warm and welcoming soft carpet? I’m one of those who want carpet on my home office floor because I always want my feet to be comfortable and warm. During rainy days when weather is so cool and I’m near to chilling I want to have my feet covered with socks and tucked in the blanket. I cannot do this snuggling when I’m working so a soft and warm carpet on my work room would be a welcome thought for a person like me. In the past people would not buy carpet for their homes when they have toddlers that would spill dirt as carpet may not endure those. Today’s carpet especially from Carpet One offers stain and wear-resistant carpets that will see through your baby’s spilling and dirtying moments. You will not worry also if there are many people walking on the carpet as it’s more durable and can stand foot traffic in the house. Best of all your kids will be protected when they fall down or slip because it’s the soft carpet that they will fall unto. When it comes to interior design of your house it’s easy to blend your carpet design to your walls, furniture and art decors in your house bringing the complete stylish ambiance where you want it. 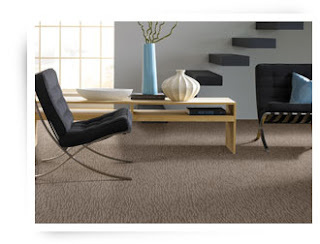 Now they also provide the healthier living carpet installation system giving their clients care and health benefits that will minimize dust, odours, irritants thus encouraging good air quality in your home environment.